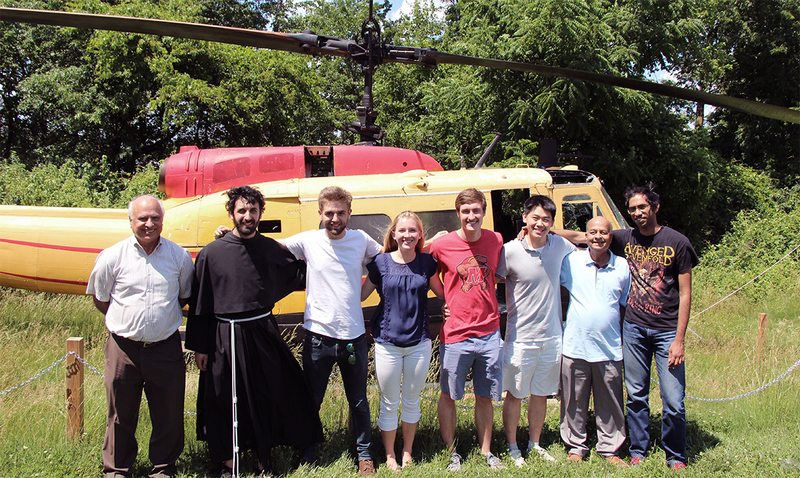 A University of Maryland (UMD) team of graduate students in the Department of Aerospace Engineering won first place in the 33rd Annual American Helicopter Society (AHS) International Student Design Competition. This win marks the 14th win for a UMD team in the past 20 years of AHS competitions. This year's competition, sponsored by Bell Helicopter, Air Launched Unmanned Disaster Relief Delivery Vehicle, challenged students to design an unmanned rotorcraft, capable of inflight deployment from a C-130J cargo airplane. The rotorcraft needed to arrest its descent and transition into flight mode to deliver supplies to remote areas from a hover and subsequently return to a recovery base. Computer rendering of Halcyon in action. 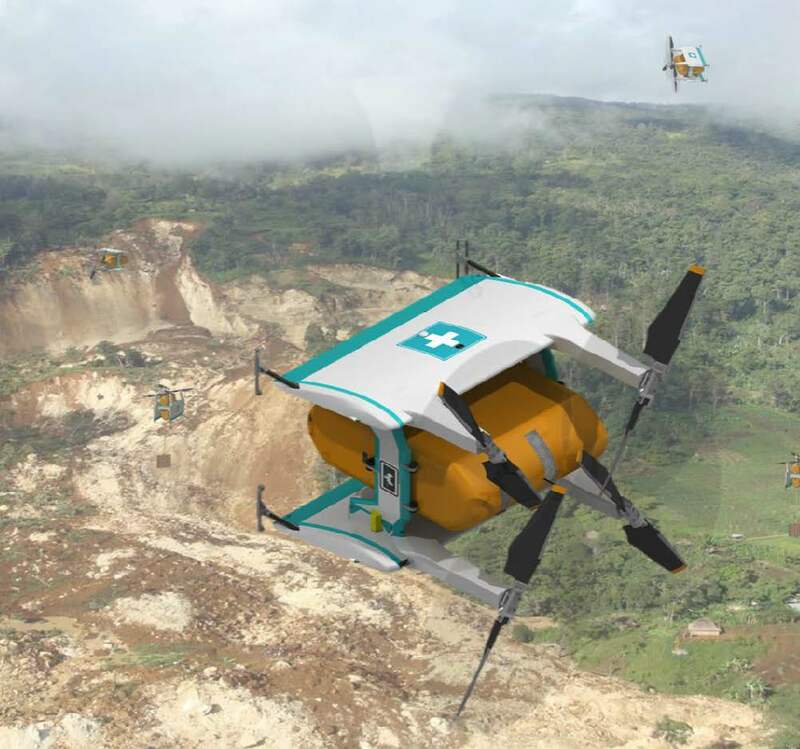 The UMD design, dubbed Halcyon, leveraged a unique combination of quadrotors, biplane wings and tailsitter design to create a vertical take-off and landing (VTOL) autonomous delivery vehicle capable of carrying and delivering over 500 pounds of emergency supplies or cargo. According to their report, the biplane wings support high speed, low power cruising while the quadrotor configuration allows for better control and hover capabilities. 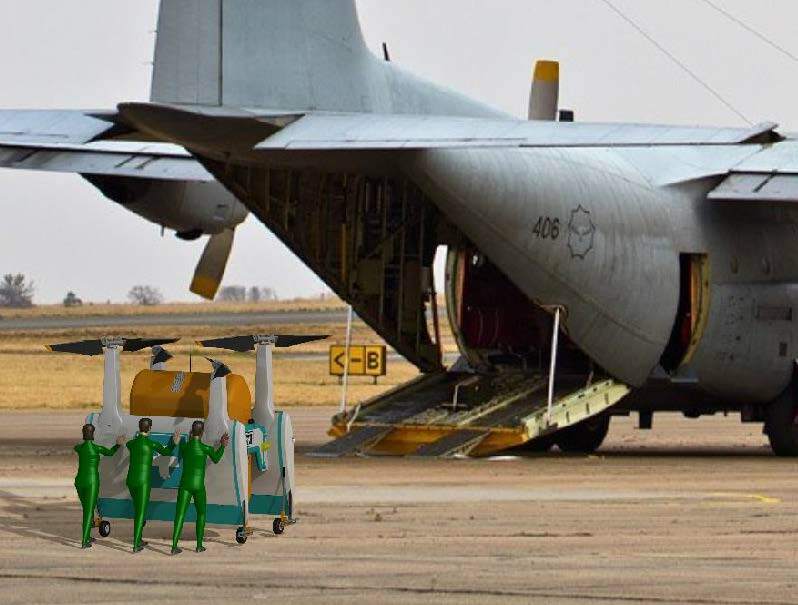 The compact structure of their tailsitter design meant that a C-130J could carry up to 6 Halcyon units capable of delivering over 3000 pounds of relief supplies, which was more than six times the challenge requirement. The six units are also capable of communicating with one another to create a collective of delivery vehicles. In addition, the students' design also required no specially fabricated parts and could be built entirely using readily available, off-the-shelf components, making it cost effective and faster to build. The 2016 UMD Graduate Student Team from left to right: Alfred Gessow Professor and University Distinguished Professor Inderjit Chopra, Brother Marius Strom, Luke Smith, Lauren Trollinger, Timothy Kreutzfeldt, Yong Su Jung and Faculty Advisors Dr. V. T. Nagaraj and Dr. Bharath Govindarajan. Not pictured, team members Olivia Gonzalez, Eliza Perez-Sanchez and Richard Quiñones. Teams from around the world submitted entries for this year's “Air Launched Unmanned Disaster Relief Delivery Vehicle” challenge. Other winners included Georgia Tech, Politecnico di Milano, University of Liverpool, Penn State and Alliance College of Engineering and Design. The AHS International annual Student Design Competition challenges students to design a vertical lift aircraft that meets specified requirements, provides a practical exercise for engineering students at colleges and universities around the world and promotes student interest in vertical flight technology. All winning teams receive a cash stipend, while each first-place winning team is invited to AHS International’s Annual Forum and Technology Display to present the details of their designs.